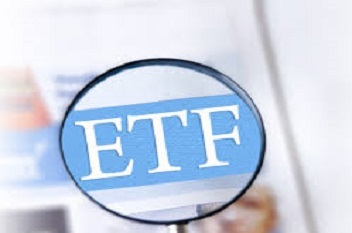 The Government of India had announced its second ETF, Bharat 22 ETF to support its disinvestment program. S&P BSE Bharat 22 index is comprised of 22 stocks from CPSE, SUUTI and PSU Banks listed on BSE in which Government targets to reduce its stake. The Government of India has announced its 2nd ETF, Bharat 22 ETF to support its disinvestment program. An ETF pools money from many investors and invest in a basket of stocks reflecting the index and its performance. ETF units are listed on the exchanges allowing the investors to trade at the quoted price. The government has raised ~Rs 8,500 Cr through CPSE (Central Public Sector Enterprises) ETF route last fiscal. However, the Government failed to meet its overall disinvestment target through minority stake and strategic stake sale. The Government had raised ~Rs 46,248 Cr through disinvestment program in the FY2017. Regardless of missing the target last year, the Government in its budget 2017-18 has set the target of Rs 72,500 Cr for the FY2018 which includes ~Rs 46,500 Cr via minority stake sale, ~Rs 15,000 Cr through strategic stake sale and ~Rs 11,000 Cr from the listing of various insurance companies. Since the Bharat 22 ETF will mirror S&P BSE Bharat 22 index so to understand the ETF we should understand the underlying index i.e. S&P BSE Bharat 22 Index. S&P BSE Bharat 22 index is comprised of 22 stocks from CPSE, SUUTI and PSU Banks listed on BSE in which Government targets to reduce its stake. The Bharat 22 Index will be rebalanced annually in March. The index is managed by Asia Index Private Limited and the ICICI Prudential Asset Management Company (AMC) will be the ETF Manager. Unlike NSE CPSE Index which comprises of only 10 PSU companies primarily energy stocks like ONGC, IOCL, Coal India and so on. Bharat 22 Index is more diversified and includes companies from 6 different sectors (Basic Materials, Energy, Finance, FMCG, and Industrials & Utilities). The concentration risk in Bharat index is also significantly low as top 3 stocks account for ~40% allocation and top 5 sectors account for ~56% allocation, significantly lower than Nifty CPSE Index. Besides, the maximum weight of BSE sector and individual stocks is capped at 20% and 15% respectively in S&P BSE Bharat 22 Index. As compared to CPSE ETF, this ETF will also invest in private sector companies like Axis Bank, ITC and L&T wherein the Government is holding under the Specified Undertaking of Unit Trust of India (SUUTI). So, if you want to invest in some top PSUs and blue chip private sector companies, you can consider investing in Bharat 22 ETF. The ETF is expected to be launched in November 2017.